Earn your Certificate as a Worksite Wellness Specialist by attending a 2-day training in St. Petersburg, Florida. See details below. Supported by current research and best practices, NWI’s multi-level Worksite Wellness Certificate Program is recognized as a premier training program for worksite wellness, human resources, benefits, and interdisciplinary professionals who are working to ensure a well workforce. Participants in the NWI Worksite Wellness certificate program gain the knowledge, skills, and tools to assist them in creating and sustaining a culture of wellness within an organization. To earn a Certificate as a Worksite Wellness Specialist, participants must attend the full 2-day training and successfully pass an online exam within 2 weeks of the training. Sign up early: Space is limited for these programs. Lunch is included on all training days. Sign up your group of 3 or more and we'll take $50 off each registration. Call 715.342.2969 for details. Includes 14 hours of continuing education credit! The National Wellness Institute offers diverse continuing education options for its Worksite Wellness Specialist Certificate Program. 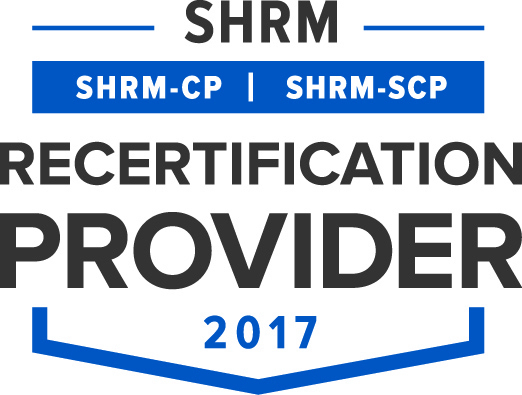 HRCI®: The use of this seal confirms that this activity has met HR Certification Institute’s® (HRCI®) criteria for recertification credit pre-approval. NCHEC (CHES/MCHES): National Wellness Institute is designated a provider of Category I continuing education contact hours (CECH) in health education by the National Commission for Health Education Credentialing, Inc. The NWI Worksite Wellness Specialist and Worksite Wellness Program Manager trainings are each designated for Certified Health Education Specialists (CHES) and Master Certified Health Education Specialists (MCHES) to receive 14 Category I (advanced) continuing education contact hours. NWI (CWP): The CWWS and CWWPM programs have been approved for 14 Category 1 continuing education credits by the National Wellness Institute for NWI Certified Wellness Practitioners (CWP). General Attendance Continuing Education Certificate: National Wellness Institute-verified contact hours for continuing education credit/certificate of participation. For more information about continuing education, contact the National Wellness Institute at 715.342.2969 or nwi@nationalwellness.org.